I was told by a pilot that the Skimmer needs the Atlantic to get airborn, is this true ? Is it really the 1st Skimmer ? What do you have on the Super Buccaneer N550YS ? Yes, she is #1, the prototype. She first flew July 17, 1948...her anniversary is tomorrow. Colonial finally went into production in 1956 after many years of testing that was interrupted by the Korean War. She was used for testing for many different items for use in production aircraft and the drop tests for the next model, the C-2 180HP model. She was supposed to be tested to destruction, but she didn't destruct and was placed outside the hangar with engine and instruments removed, never intending to be sold. But sell her they did, to someone who trucked her to Pennsylvania and put her back together again. She had about 250 hours total on her. Once flying, she did not accumulate many hours and went through several owners until 1989 when she was blown over in a windstorm, dismantled again and put in the owners garage where he attempted to put her back together again. He eventually died and it was sold to a dealer of oddities for lack of a better word and it sat in his warehouse for a few years. I have been keeping track of all the old Skimmers (23 C-1, 19 C-2) since 1964 when I bought my first one, so knew it was somewhere in the Cleveland Ohio area. I decided that, since I was the self-appointed historian, I needed to save #1 and bring her back to life again, and as you see by the photo, she is very much alive. Near as I can figure she has about 600 hours total time on her. It is my intention to do a short history on each one with photos, as soon as I can figure out where to put it on this forum. 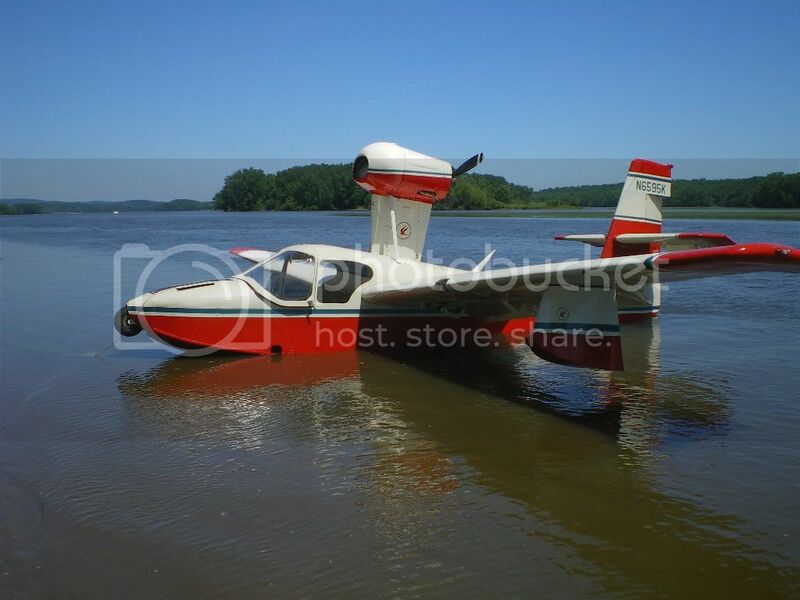 Lake Aircraft also made one aircraft without wheels which is a true flying boat and should definately be on this website. Lakes have been used for experiments with hydrofoils, airbags, skis, and the like. So there is plenty for me to add here. All it takes is time. The Superbucky is quite the plane. I have seen it in person, but not flown it. I do have some photos from one of our Lake flyins. Now that was a labor of love. Thanks for saving an historic airplane John, You Done Good ! Since you seem to have a list going maybe you can answer a question for me. The very first Skimmer I ever saw was a wrecked one in Houma La. back in the mid to late 1950s. It was an early airplane that had supposedly hit a deadhead while step taxiing, flipped over and sank, any idea as to which one it was ? It was stuck in the back of Texaco's hangar with a couple Gooses, had no wings, engine or tail feathers and the interior had been ripped out. I know that's a pretty poor description to go on, but it's all I have, an old memory. I have heard the same story many years ago. I was supposedly #3 in the story I heard. It is the next photo I am uploading, it then went to Alaska eventually. According to records it was never owned in the Louisiana area. I suspect that it could have been #7 N247B which was in that area and was supposedly set on a pedestal or on the roof of a fraternity house at a college. I think I heard that from an old timer when I stopped for fuel (deliberately) when ferrying a Lake through that area. I have never really been able to find #7 since Jan of '64 when I started keeping track of them. I doubt if it was ever locally owned. Up until the 1980s there were a lot of seaplane operators in So. Louisiana, mostly oilfield related. Everytime someone came up with a new idea about water flying they trotted it out down there to see if it would sell. I suspect that's why that particular Skimmer was there. I've seen float equiped helocopters, a Cessna Skymaster on floats (I wish I had a picture of THAT one), most of the Widgeon conversions and more single engine float plane ideas than I can remember. welcome to the site and I've really enjoyed reading this thread. I'm looking forward to more updates from yourself, along with additional photographs.